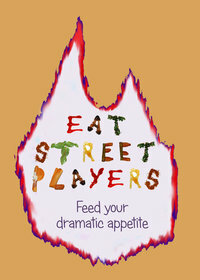 The Eat Street Players to remount "The Red Tureen" in a full 2-hour production with orchestra! Kilkieran Valley is hungry—but so is Father Padraig Bones. Returning to his boyhood home, Padraig skirmishes with conniving soldiers, rebellious farmers, and a fickle crop. Why did his father commit the crime that shattered his family forever? Can the valley ever be fed? How can it survive when truth starves and food is a political weapon? THE RED TUREEN offered 2009 Minnesota Fringe Festival audiences “…history and mystery, but also the things singers love to sing about: romance, anguish, and humor” (Debra O’Connor, St. Paul Pioneer Press). Bill Marshall: (Father Paraig Bones) will be in his fifth musical theater performance with Eat Street Players. Past roles include, Baker Into the Woods, Archibald Craven The Secret Garden, Lamar Godspell and Lazar Wolf Fiddler on the Roof. He has also played Rutledge 1776, Emil deBeq South Pacific, Joey Most Happy Fella among other roles in the upper midwest. Recent vocal performances include Baritone soloist in Carmina Burana, The Creation, Elijah, Mozart Requiem and others throughout the Twin Cities. Much thanks and love to Margaret! Steven Pundt: (Major Hawkins) is excited to be part of this production. He appeared in plays in high school and college and thinks that playing Biff in Death of a Salesman changed his life! He attended St. Olaf College and the University of Minnesota Law School (but alas did not sing in the choir at either school). Steven is the proud father of two great children, Kristen and Nathan (who recently became married to Becky). He sends his love and much thanks to his wife, Sally, for her support and encouragement. Francesca Caviglia: (Fiona Duffy) is thrilled to be exploring this new production with the Eat Street Players. A native New Englander, Francesca came out to Minnesota to attend St. Olaf College, graduating with a Vocal Performance degree in May of 2010. She has spent the past year working for A Prairie Home Companion with Garrison Keillor and performing throughout the twin cities. Katia Cardenas: (Cinnie McMonigal) is excited to be acting in The Red Tureen with this wonderfully talented cast. A recent gradate of Macalester College and west-coast native, Katia has lived in the Twin Cities for the last 5 years, and has enjoyed exploring the numerous performance opportunities the area has to offer. A singer, actor and dancer, Katia has spent the last year performing in a touring puppet-show with Teatro Del Pueblo, creating a cappella musicals with her a cappella group, Late Might Menu, and working as a teaching artist for Stages and Stepping Stone Theatre companies. Recent credits include Gloria in Phantom of the Kitchen (Nautilus Music Theatre/Teatro del Pueblo), Beth in Zombie High School (2010 Fringe Festival; director) and Elmire in Tartuffe (Macalester College). She would like to thank her boyfriend, friends and family for their endless love and support, and the Twin Cities theater community for making original works like The Red Tureen possible! Carson Brooks: (Davey Shannon/O'Donnell) made his return to his theater roots with Eat Street's Fiddler on the Roof last Fall, and is pleased to be a part of the newly crafted musical production of The Red Tureen! He did not need to look very far to find his own Irish and Celtic heritage. With a boyhood home surrounded by potato fields, all the talk about potato plants seemed strangely familiar! When he is not surrounded by potatoes, Carson works with residential and commercial real estate and runs his own brokerage not far from the theatre. He has truly enjoyed watching the creative process of building a new musical and working with so many great voices. Lisa Lee: Lisa Lee (viola) played violin in the pit orchestra for Eat Street Players Fiddler on the Roof last September. Lisa plays with Woodbury Chorus and Orchestra, and St. Paul JCC Symphony. Kevin Bowen: (Story, Music & Lyrics) Kevin is nurturing a budding songwriting career in addition to running his graphic design business, and is currently working on a second original musical. His eclectic love of music, theater and all things Irish runs deep, and was cultivated over a lifetime. He is awed by, and eternally indebted to the actors, director, music director, musicians and producer from the Eat Street Players who have done an amazing job with this production of The Red Tureen! None of this would be possible without the boundless support of his incredible wife Lynn, and their two children, Erinn and Christopher! Martha Davis: (Arrangements & Additional Music) is a private piano teacher, non-profit administrator, and has been the music director/contemporary service director at several local churches. Her day job is spent at Macalester College running the German & Russian Studies Department. After years of arranging music for her students to play and audiences to enjoy, Kevin Bowen talked her into arranging the music for The Red Tureen and she will also do the next musical with the Bowen & Lundy team. She is dedicated to youth music and is proud to have many professional musicians as former students. Thank you to my wonderful family Andy, Craig, Natalie & Jerry, Nicole, and grandson Jack for keeping me on my toes, and my father for telling me 30 years ago I would never make a living as a musician which certainly got me moving! Michael Sheeks: (Director) Michael has enjoyed growing the Eat Street Players during the past five years. It is exciting to be supporting the creation of this new work, and our season for 2011-12 has some wonderful titles. When not in the Howard Conn, Michael spends time with his children, with the Roseville Schools drama program and seeking new ways to make education meaningful (and golfing). Andy Kust: (Music Director) is an active performer, educator and music director in the Twin Cities. In the the past year, since graduating from Luther College with a degree in Opera Performance, Andy has worked as a freelance artist with organizations such as Elk River Theater, Youth Theatre Workshop, Stepping Stone Theater, Lyric Arts of Anoka, Minneapolis Musical Theatre, The Director's Studio, The Music Box Theater, MacPhail Center for Music and The University of Minnesota. Recent music directing credits include Godspell, Thoroughly Modern Millie and The Light in the Piazza. This fall, Andy will be moving to Phoenix, Arizona to pursue a Masters in Musical Theater at ASU. Andy couldn't be more excited to be involved in the evolutionary process that is "The Red Tureen." He would like to thank the creative team and the cast for their dedication and their enthusiasm for this new piece of theater! Hannah Soule: (Stage Manager) Hannah recently graduated from Augsburg college, and was also Stage Manager for the 2009 Fringe Festival run of The Red Tureen. Eat Street Players is an all volunteer community theater affiliated with Plymouth Congregational Church and has been producing shows for four years. Theater first started at Plymouth in the 1970s with Theater 1900. In 2006, theater at Plymouth was revived as The New Plymouth Players. That group made a name change to the Eat Street Players in September, 2010, to connect to the neighborhood and eliminate some confusion with the city of Plymouth. Performances are in the Howard Conn Theater located at 1900 Nicollet Avenue South in Minneapolis. Previous productions include Into the Woods, The Secret Garden, Godspell, Rosencrantz and Guildenstern are Dead, and Voyages. Our 2010-11 Season includes Fiddler on the Roof, The Laramie Project and Quilters. Additional information about our productions can be found at the Show History links on the left. Combine Great Dining with Great Theater! Eat at Eat Street and then see a show! Parking at the Howard Conn Fine Arts Center is available in the Plymouth Church lots which are located adjacent to the church as well as SW and N of the church. There are a lot of red signs in the lot, but you don't need to be frightened of them. Avoid parking spots that have "Staff" signs, and otherwise you are good to go. DON'T park in the church lots after 2:00 AM. They tow all cars at 2:00 AM. You can also park on the street in the neighborhood.